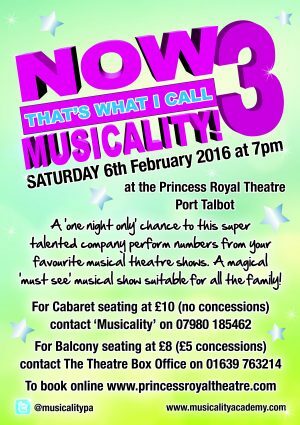 ‘M’ – An Evening of Musical Theatre! 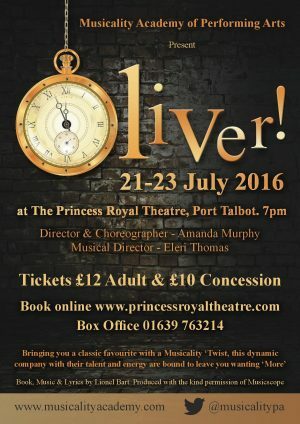 We are excited this year, to once again be performing at The Princess Royal Theatre, following our recent productions of ‘Thoroughly Modern Millie’, ‘Oliver’ and ‘The Addams Family’. 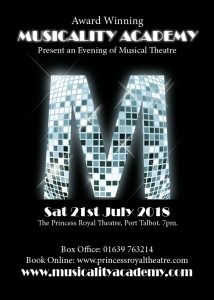 This year, we perform ‘M’ – An Evening of Musical Theatre…a fabulous evening of musical theatre in celebration of our 10th birthday! 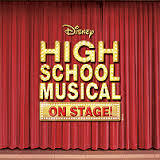 Performances will include musical numbers from ‘Waitress’, ‘Cabaret’, ‘Moana’, ‘Dear Evan Hansen’, ‘Catch Me if You Can’ & ‘Shrek’ to name but a few! 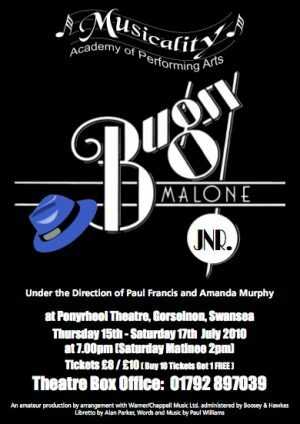 As an award winning company, we are very proud of the standard we achieve and this musical evening will be no exception, as we showcase the incredible talents of our current students aged 4 to adult, who are currently being nurtured at the academy. Keith Milward, TV & Radio Presenter. 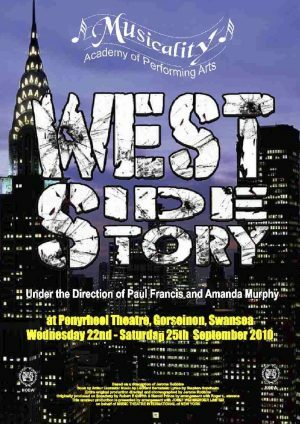 Luke Spencer, Regional Representative, National Operatic & Dramatic Association.